This appears to be a close-up of a tabby surface. 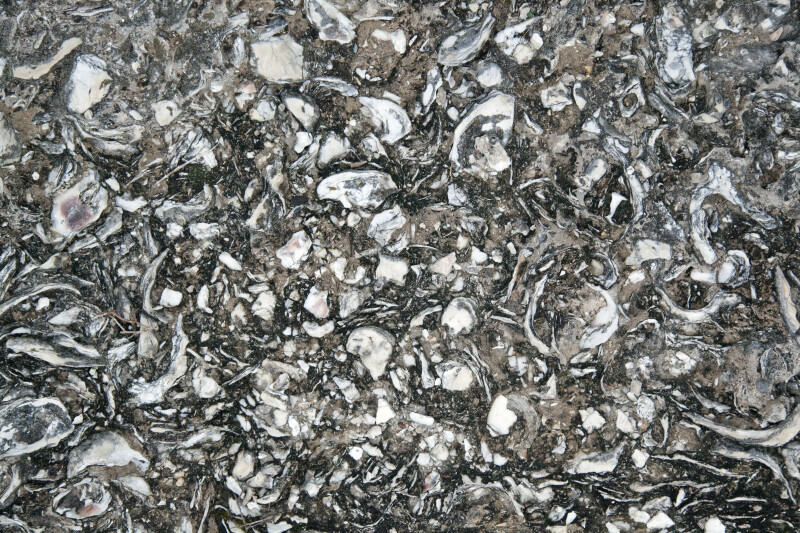 Tabby is a type concrete made from sand, lime, and shell. Large oyster shells are visible. The fort is a National Monument, and is listed on the National Register of Historic Places.